Apple users and bitcoiners can now breathe a little easier. Six months after Apple removed the Blockchain wallet app from the App Store, Blockchain is back. The company made the announcement this morning, just days after the release of a completely revamped Blockchain Android app, which was initially unveiled at the North American Bitcoin Conference in Chicago. When the original iOS app was banned by Apple in January there were over 1,000 news stories that covered the development. Apple seems to have gotten the idea. Although Apple has not directly stated their support of Bitcoin and other payment technologies, it seems they have changed their stance on the type of approved applications within the App Store. It is most definitely an important step forward for Bitcoin, but is also very exciting that Apple seems to be ready to accommodate future digital currency development. Today’s announcement further legitimizes Bitcoin and makes it possible for iOS users around the world to have access to Bitcoin applications. There is no need to smash your iPhone with a hammer. So how does it look? You may remember that Rubik’s cube icon, but prior to the application’s removal, Blockchain was the most downloaded bitcoin wallet on iOS. The new Blockchain app has undergone a complete redesign with security and usability in mind. Users will notice an elegant and simple experience designed to make it easy for new and existing Bitcoin users. The team at Blockchain is excited to continue investing in iOS and reimagining how the world transacts. During the North American Bitcoin Conference in Chicago, the company also unveiled the new Android application. Like the iOS application, this new version has been completely re-designed from the bottom-up. However, the Android version has a few more bells-and-whistles to provide the user. The new experience includes a wallet dashboard, transaction view, a location-based merchant directory, and more. The user experience of the Android version has been far improved with the addition of the new features. To make it even easier, the new Blockchain app also integrates with the user’s address book. This enables the user to make peer-to-peer transactions whether or not the user has an existent Bitcoin wallet. The in-app merchant directory is the first fully integrated Bitcoin merchant map. This exciting feature makes it easy for a user to find where to spend their Bitcoin based on their specific location. 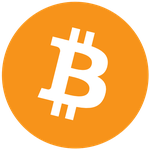 The directory utilizes geo-location to discover local businesses and shops that accept Bitcoin. Each of these additional features on Blockchain’s Android redesign have drastically improved user experience. Both applications are changing how Bitcoin users new and old interact. With over 1.9 Million users around the world, Blockchain is working to make Bitcoin more accessible and easier to use for everyone. The goal is to take this vision to not five, ten or 20 million users, but to create simple and creative ways for users to interact so the company can achieve scalability of hundreds of millions of users. DAC Sun Limited Launches first official Bitshares X Chain for Distributed “Trading” of Commodities and Stocks.